What makes our unsalted peanuts second to none? Because we make them the old-fashioned way. 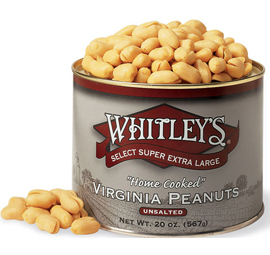 We start with our fresh Virginia peanuts and slowly cook them by hand until they reach the perfect combination of crunchy freshness that we've come to be known for. Whether you prefer unsalted peanuts as a peanut purist, or as a healthier option, we know you won't be disappointed with any one of our products!